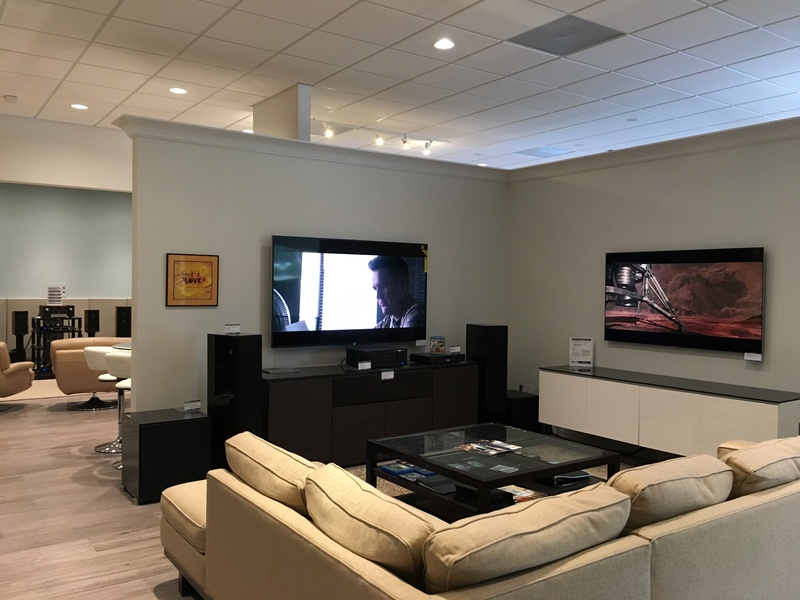 South Florida's Largest Specialty Electronics Store. 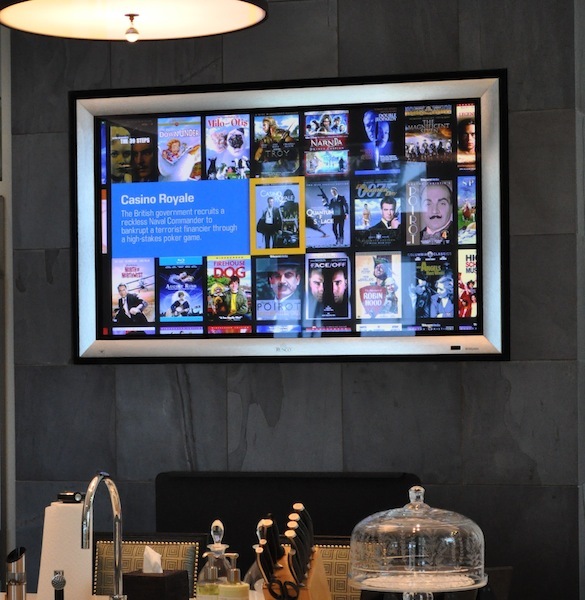 Here are some recent pictures of our everchanging showroom. 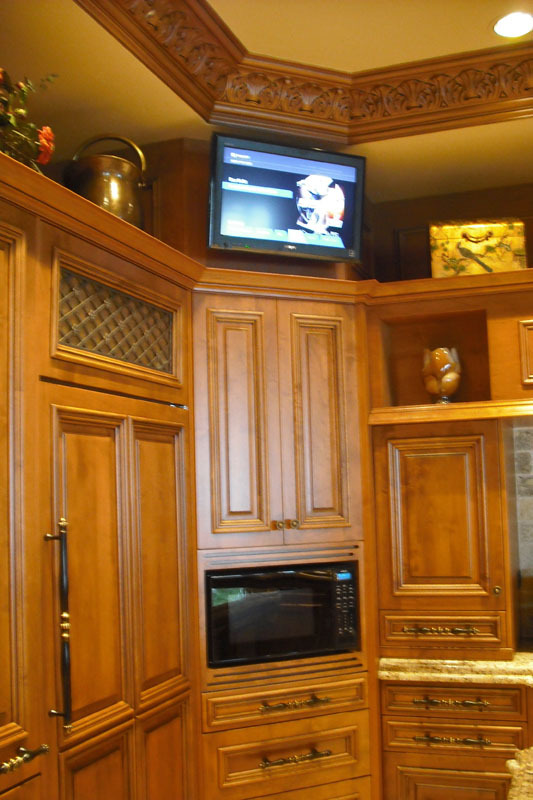 We are contstantly adding more great products to our mix so keep checking back. 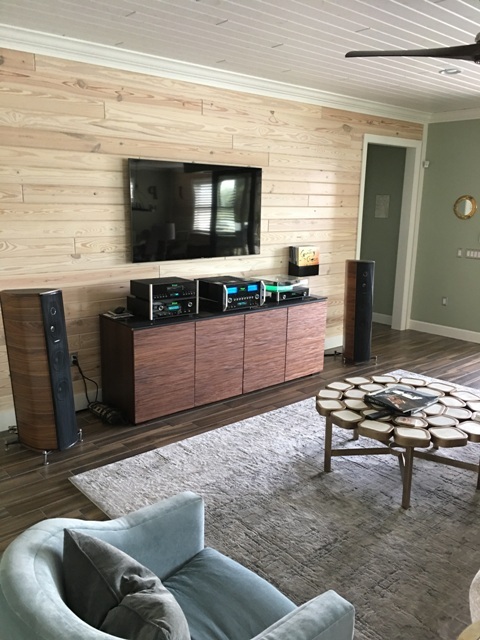 This is a great sounding Audiophile System featuring the Anthem D2V-3D A/V Processor, Bel Canto Digital Amplifiers and the amazing sounding Aerial Acoustics and JL Fathom Speaker System. 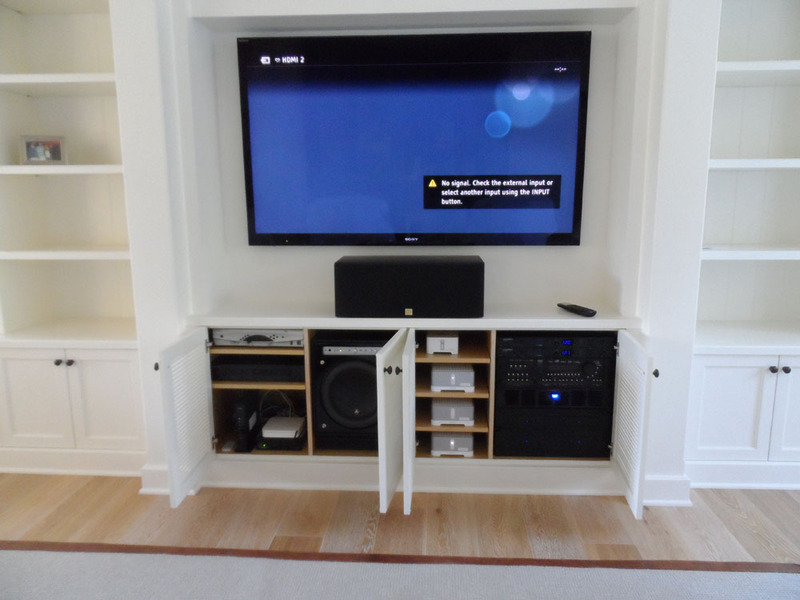 Crestron controls it all while Sonos fills the house with all you music you could ever want! 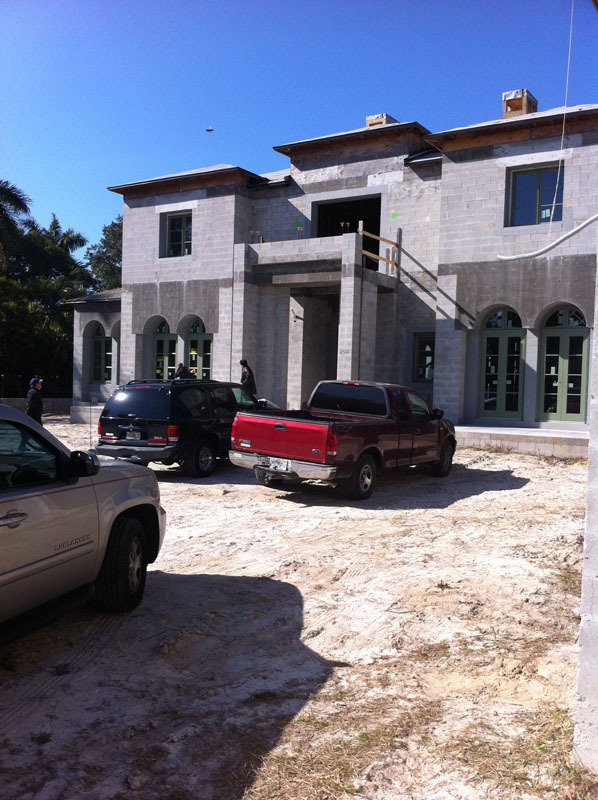 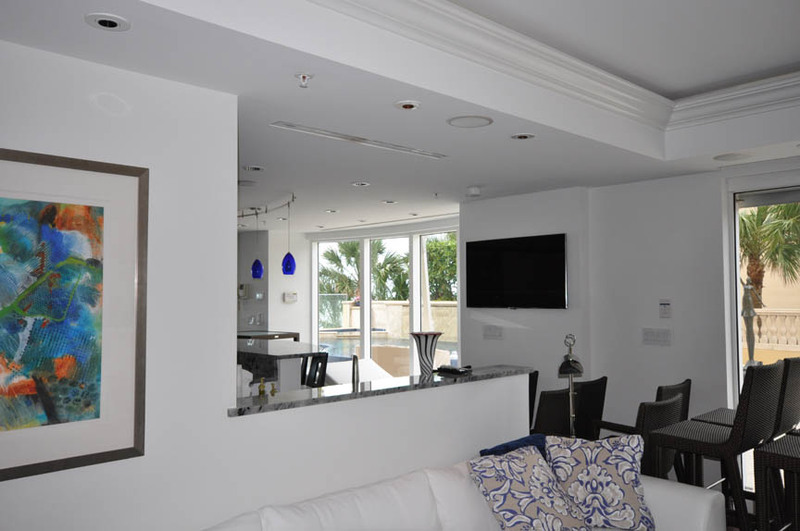 We just finished this great Contemporary Condo on the Beach. 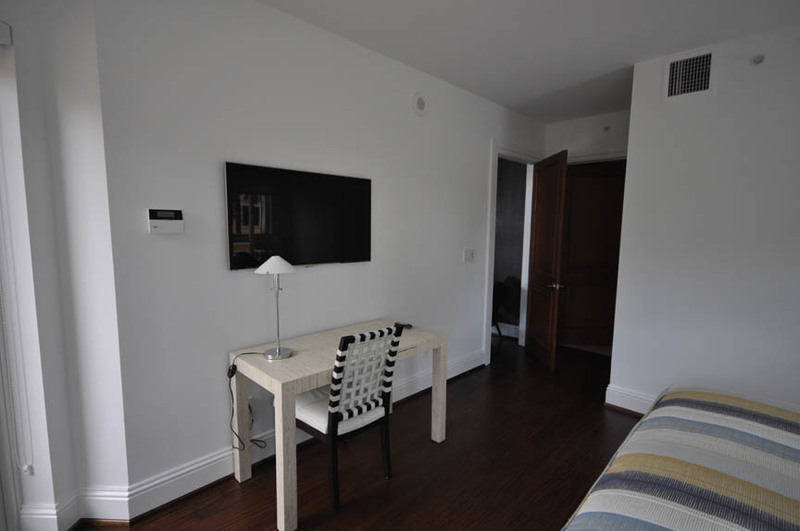 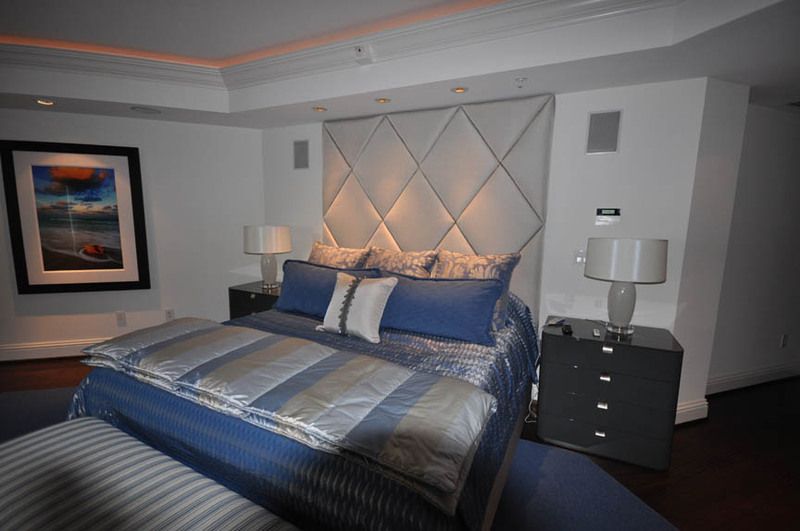 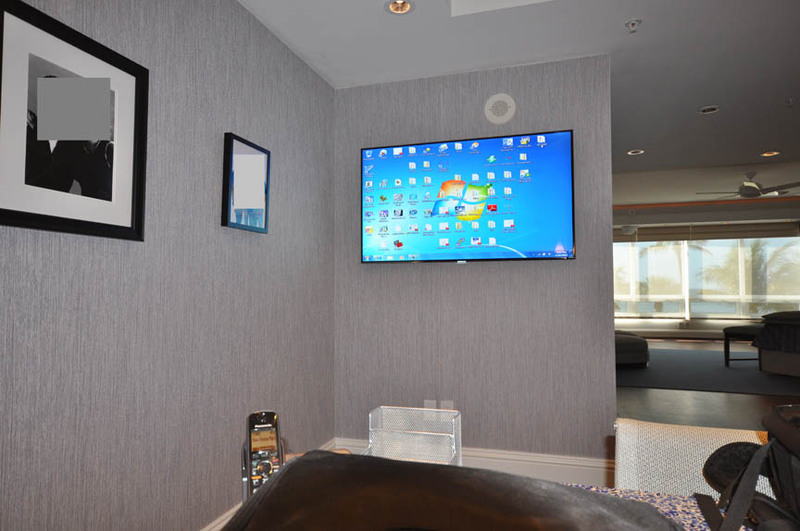 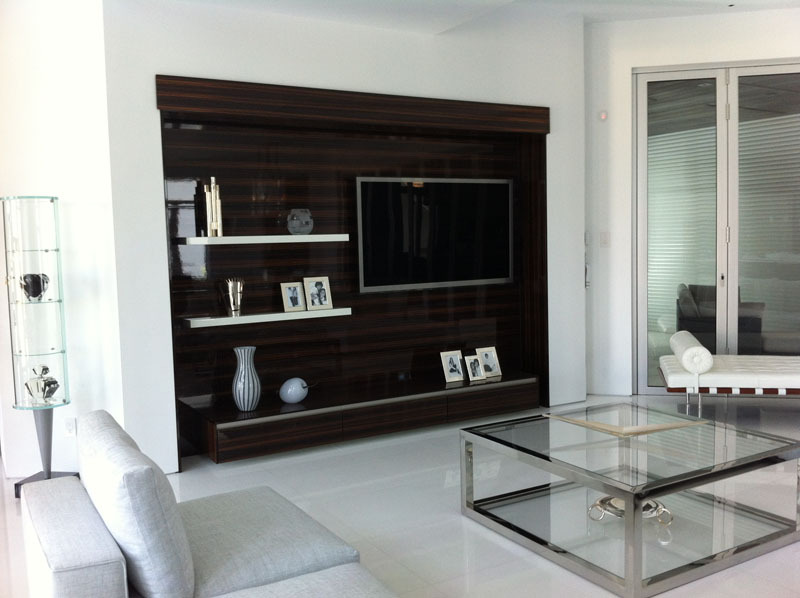 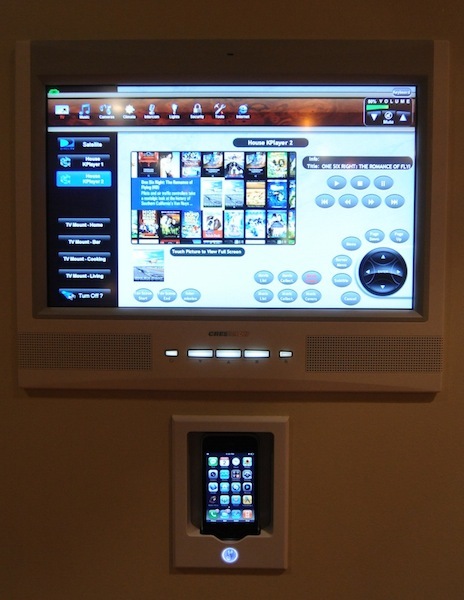 It has a full Crestron Control System, In-wall iPod docks, Multi-Room Music, Pop-up TV Lift, iPad and iPhone control. 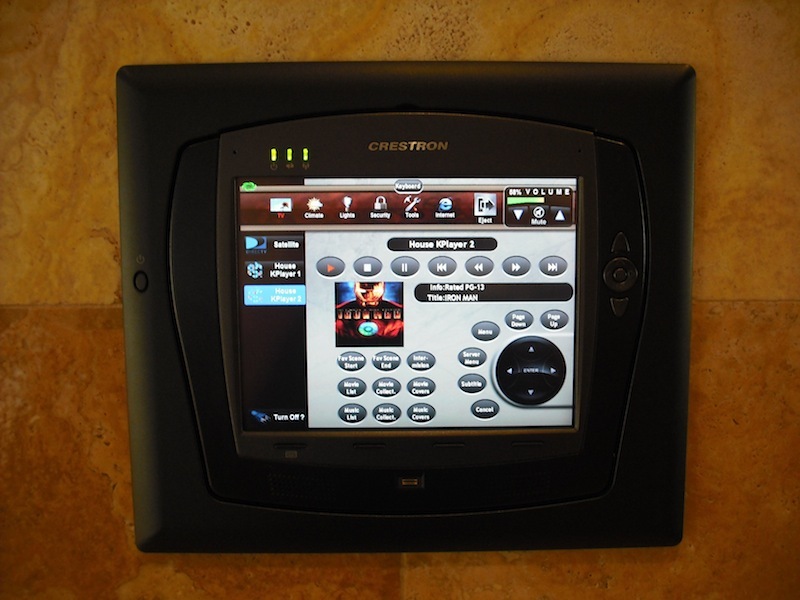 We also have the new Crestron MLX-3 Remote Controls in every room. 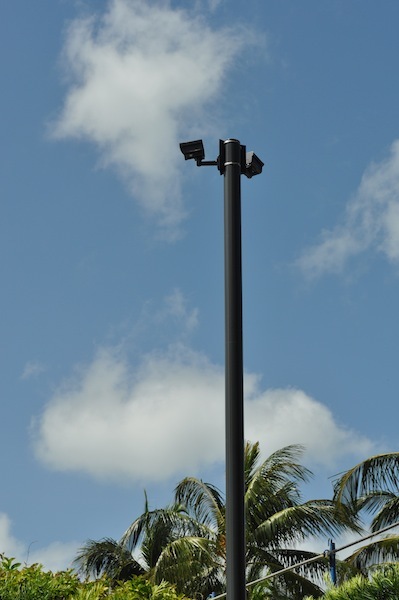 These work just fantastic. 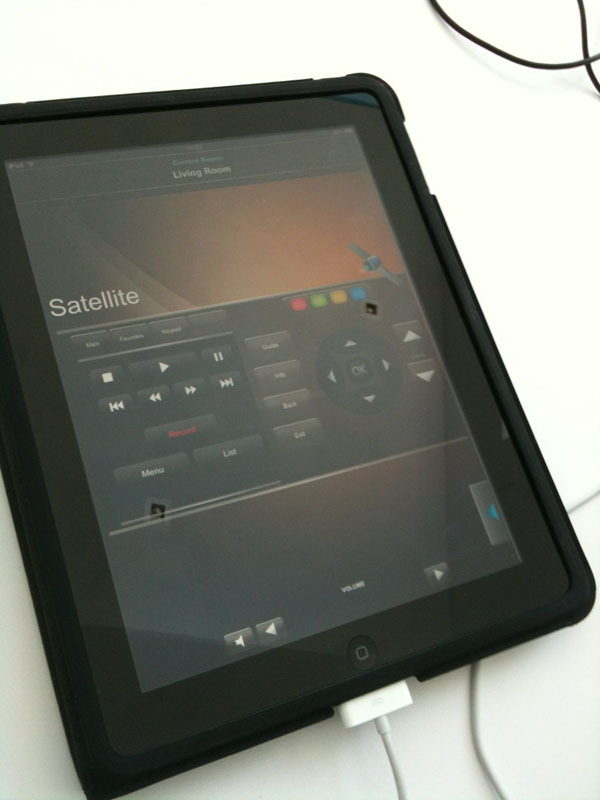 You can see your XM, iPod music and lighting right on the remote in your hand! 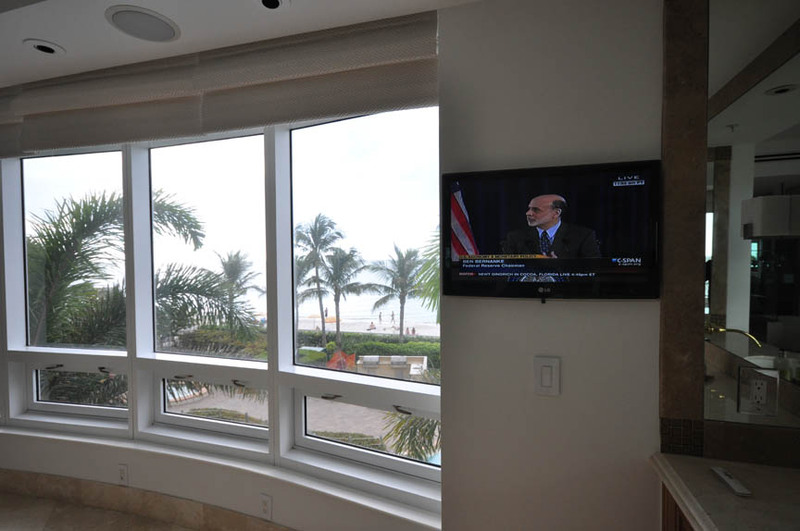 We put in a commercial wireless network so strong the owner can watch a video on his laptop all the way into the elevator, down to the ground floor and then sit on the beach and never lose signal. 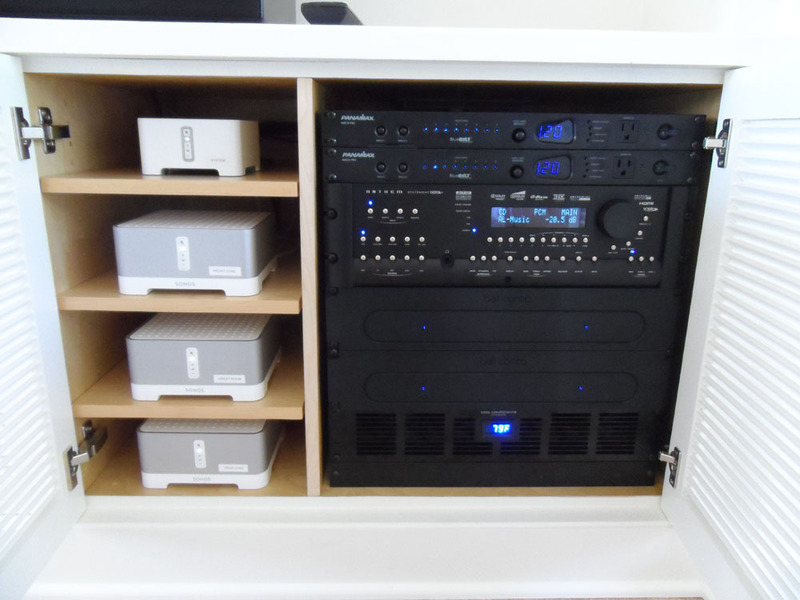 This system is our pride and joy. 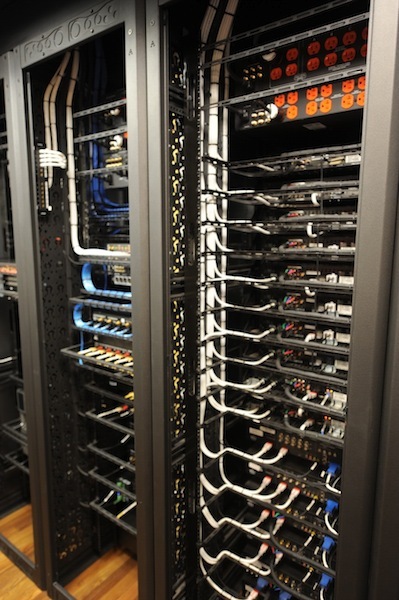 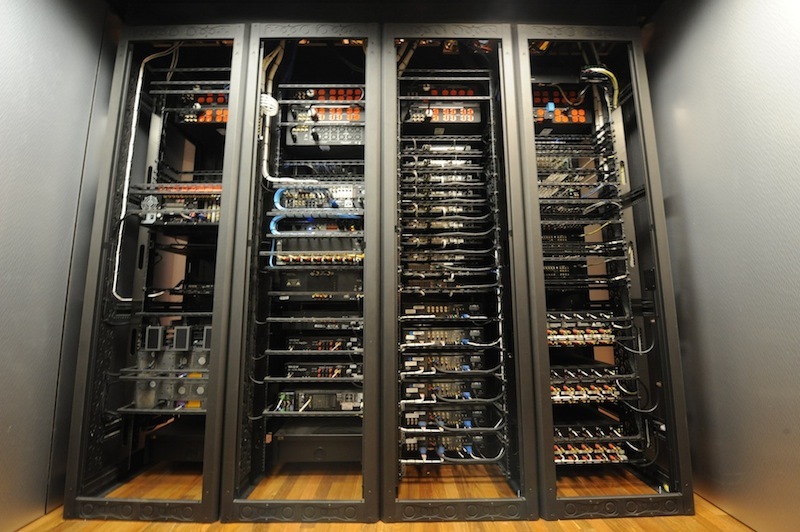 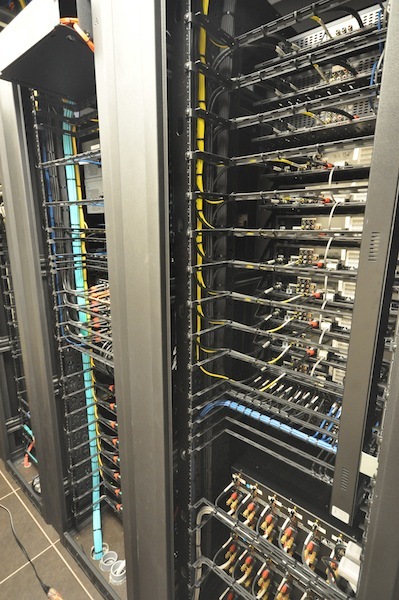 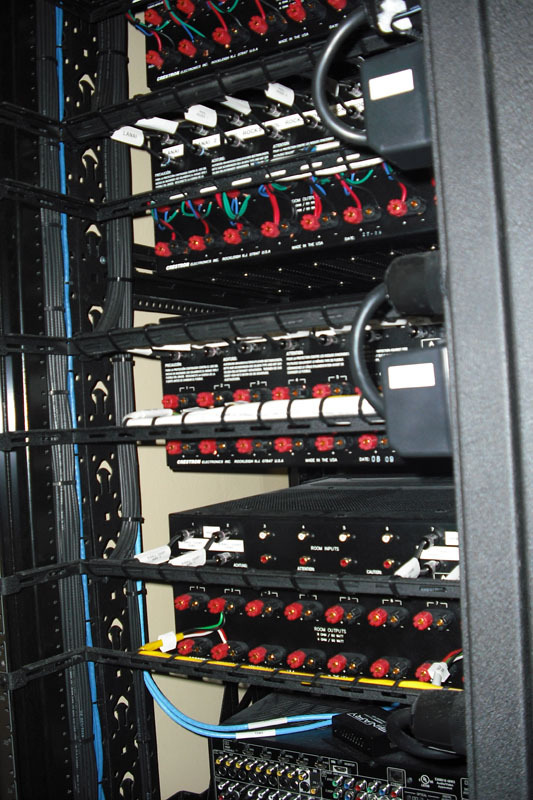 9 Crestron processors and 9 racks full of equipment make this one the largest systems around. 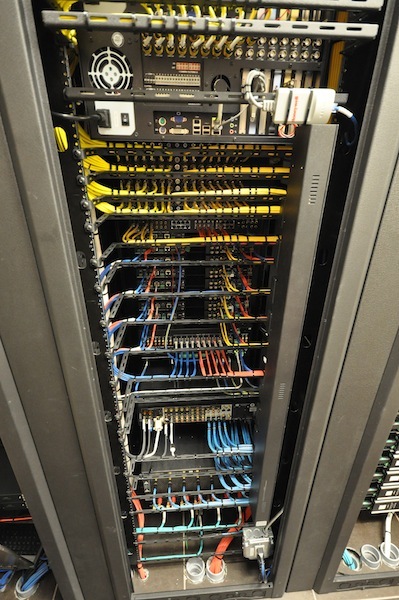 It's all Fiber including the Cameras & network. 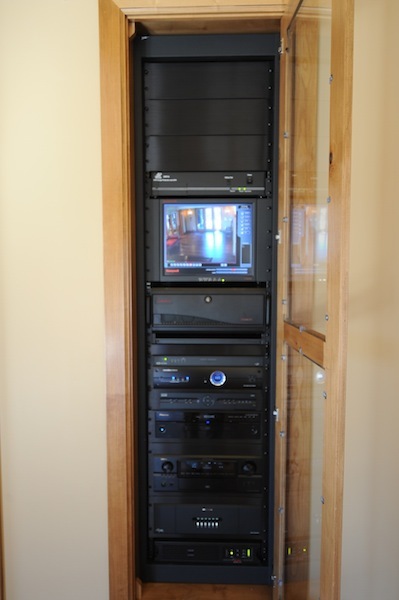 A 3400 DVD Kaleidescape Movie Server sends different video to 19 Runco TV simultaneously. 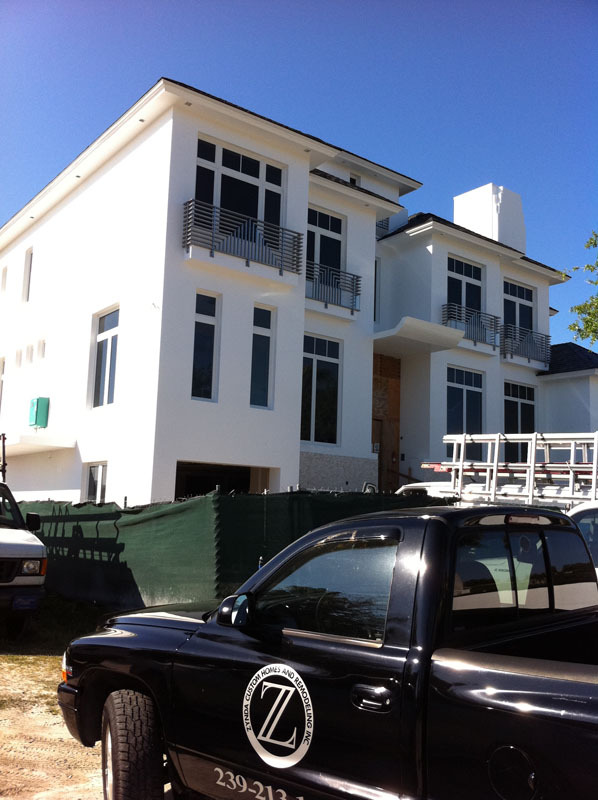 The 103" Runco is lifted flush into the wall on a custom aluminum winch and bracket system we fabricated from scratch. 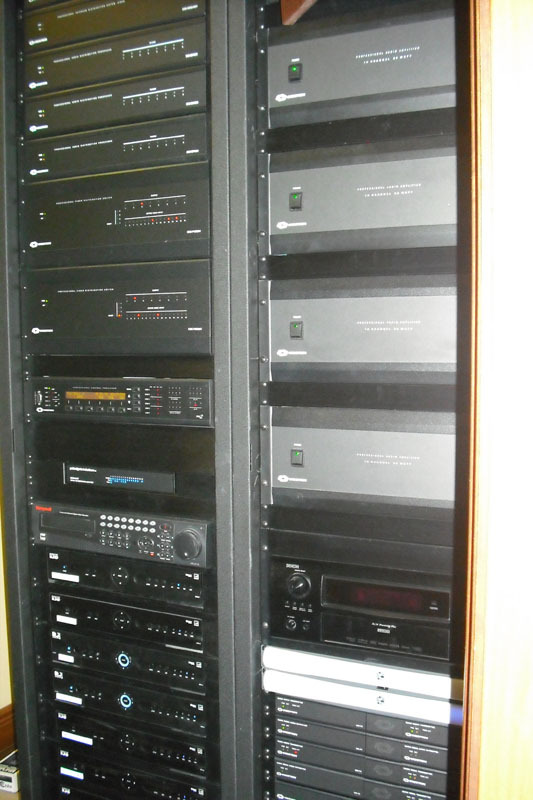 There's pretty much nothing this system can't control. 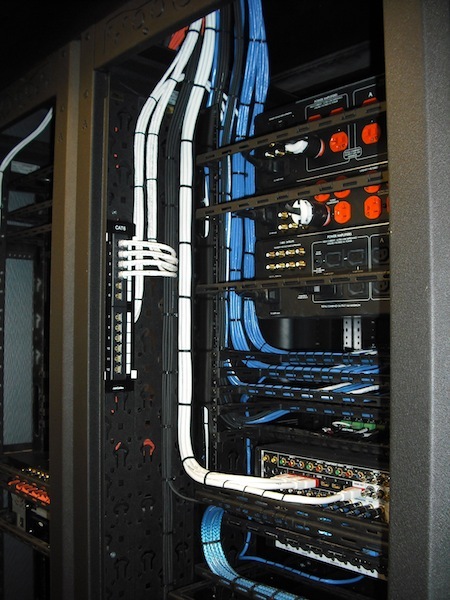 This All Fiber Mega-Yacht is now Complete. 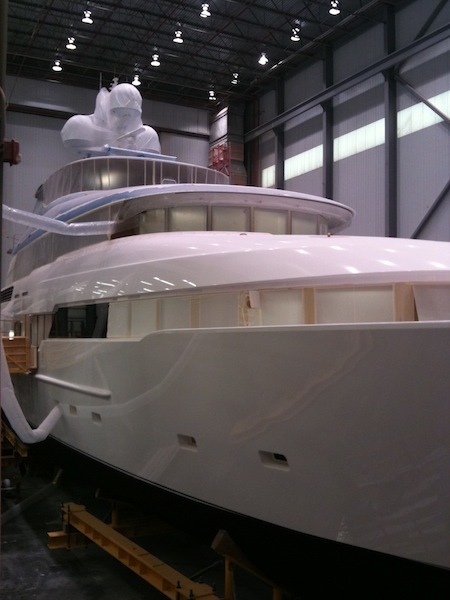 She is sure to be featured in many Super Yacht Magazines around the world. 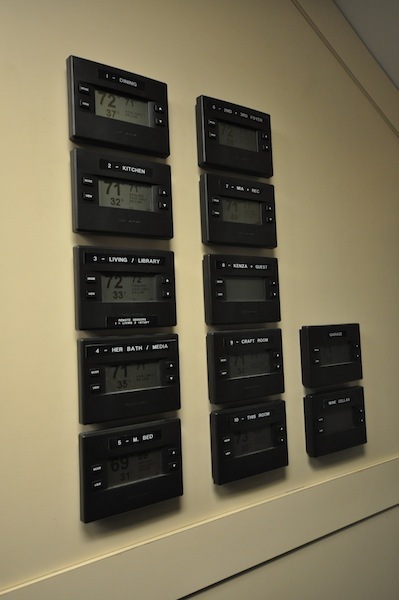 This job has gone in fast and we are extremely proud of our attention to detail everywhere in the system. 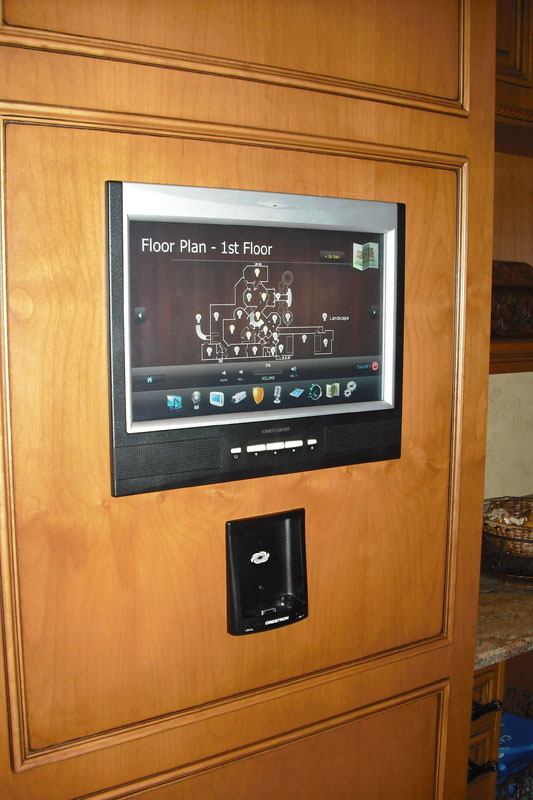 Everything is working perfect and we had no problems what-so-ever. 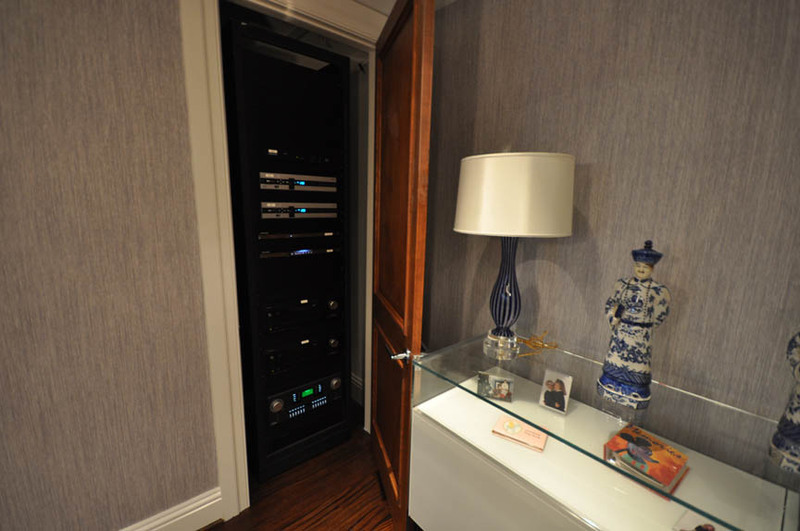 Our latest awarded job consists of an all Fiber Optic Crestron Control System. 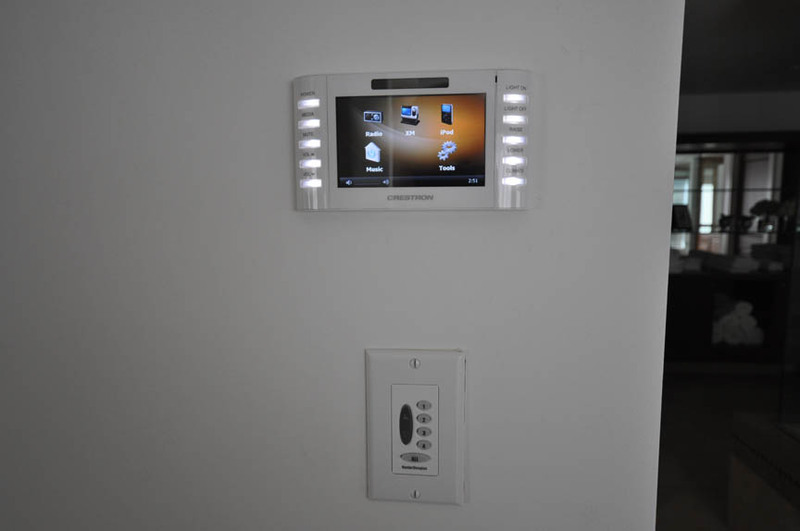 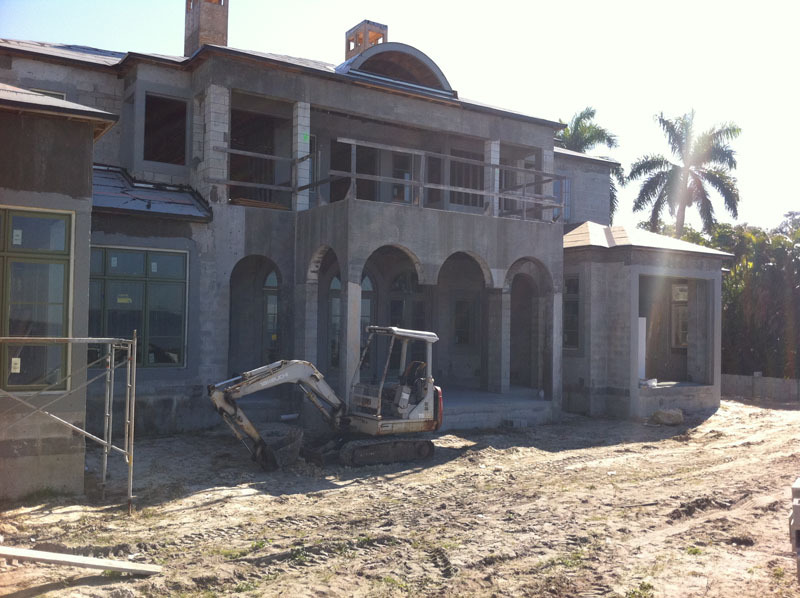 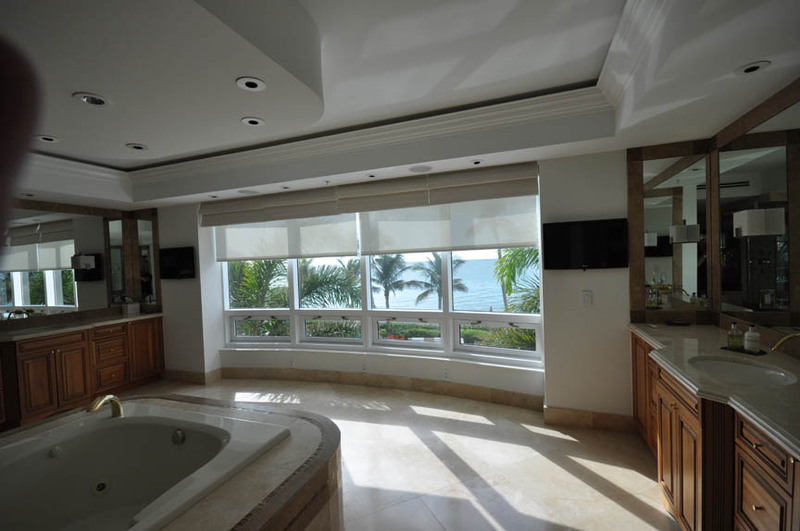 We will also be installing a Crestron Lighting system and shade control system. 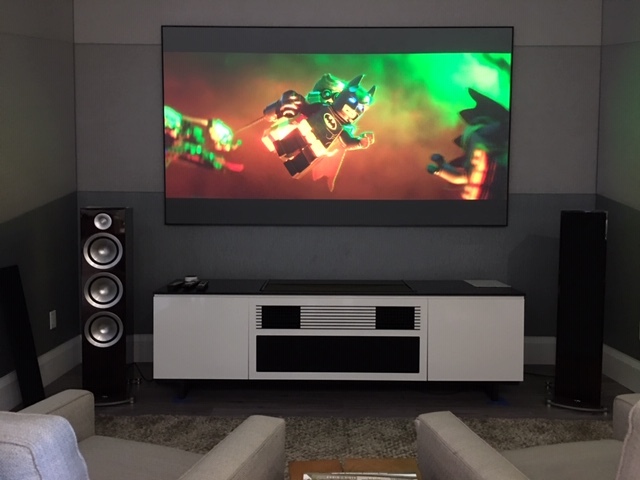 The Home Theater will be showcasing a JBL Synthesis System with a Kaleidescape BluRay Movie Server. 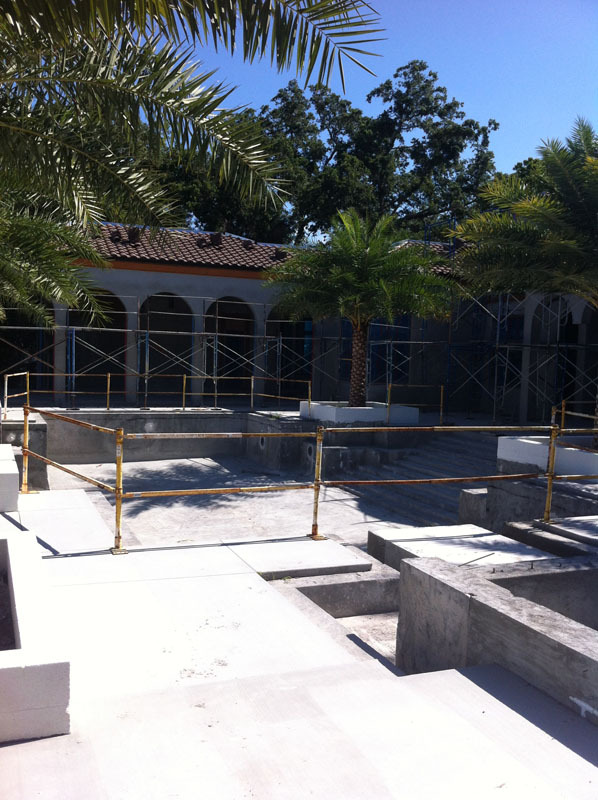 Stay tuned for progress photos as the job moves along in August 2012. 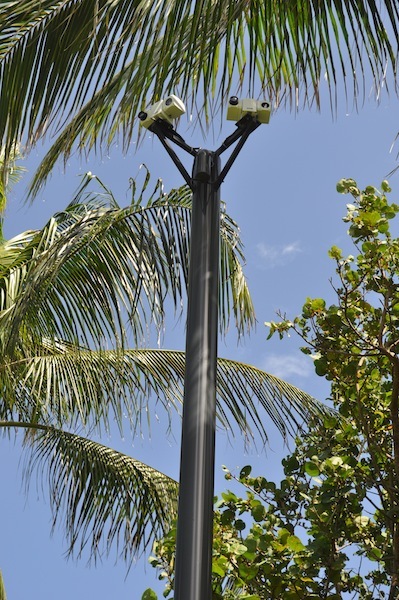 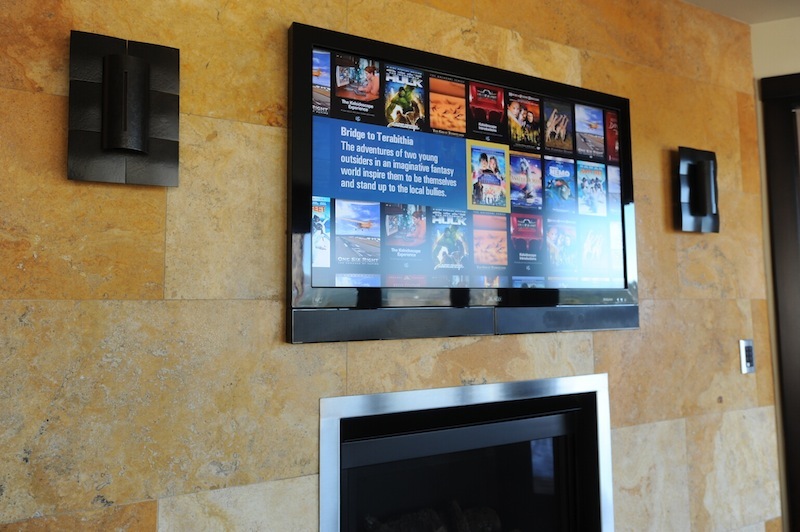 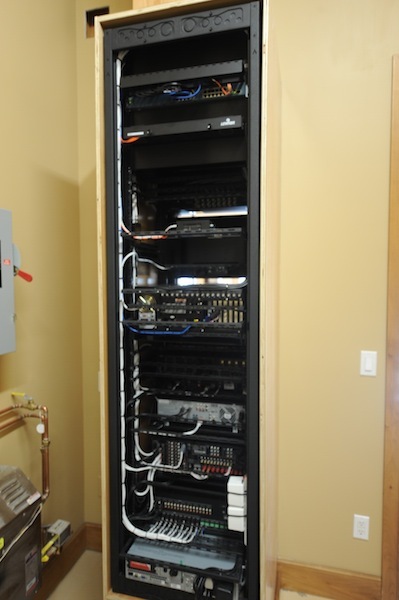 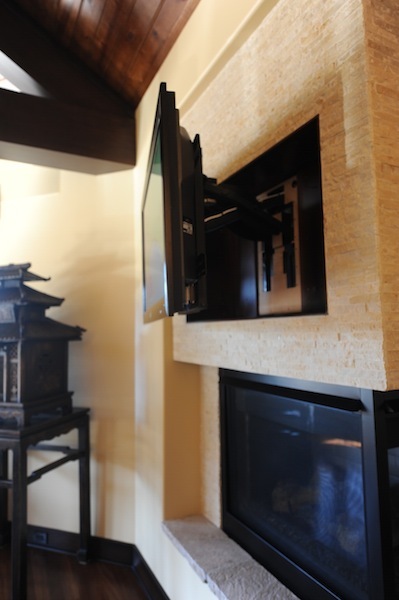 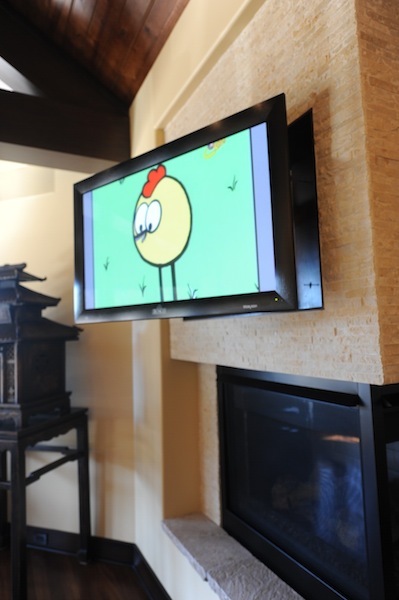 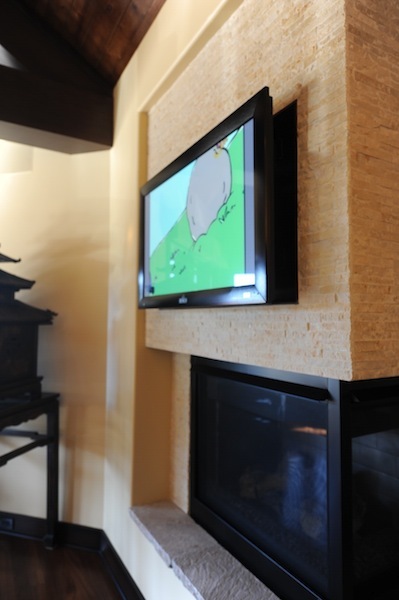 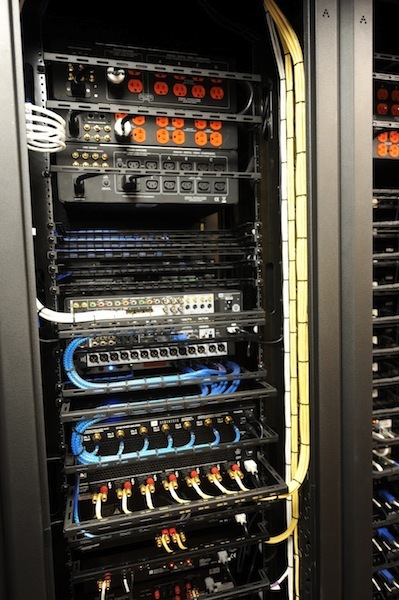 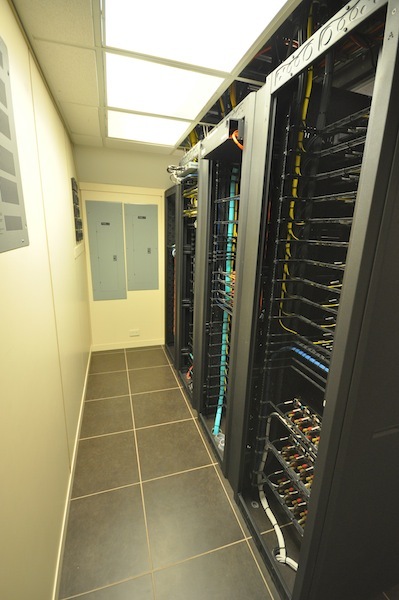 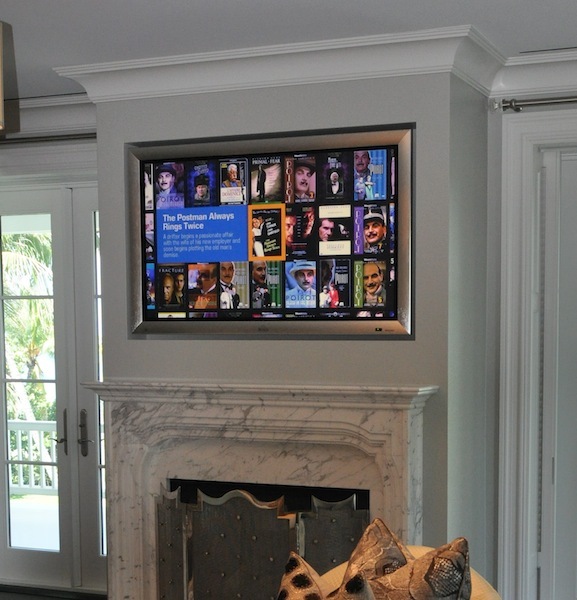 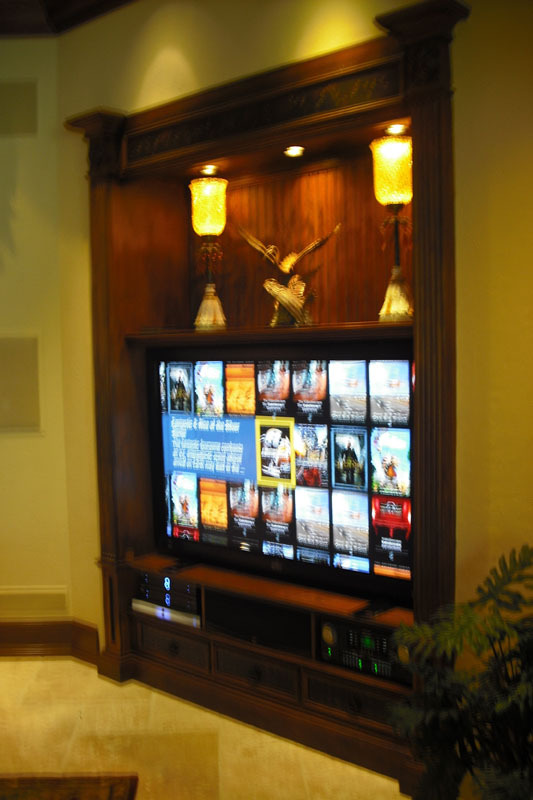 This project has won us numerous awards including Best Racks in the Country at the 2011 CEDIA Expo. 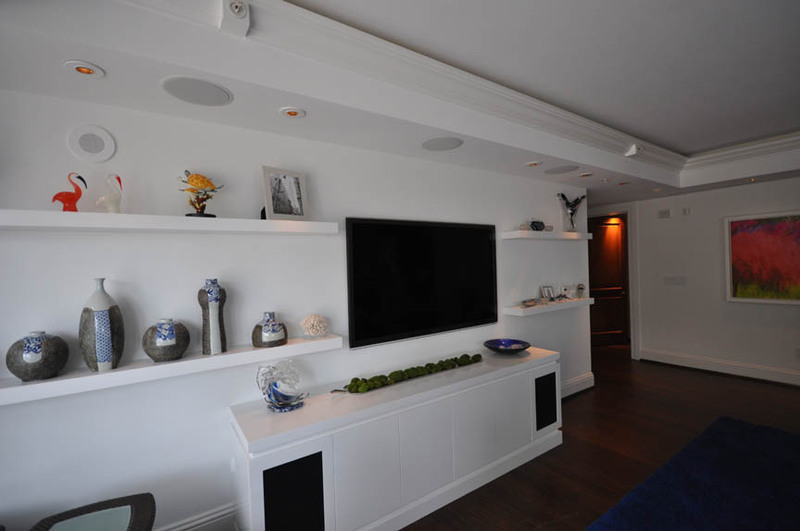 It's a full blown Crestron A/V & Lighting Control System, A 103" Runco Plasma with a JBL Synthesis System and a house full of RUNCO Plasma TV's. 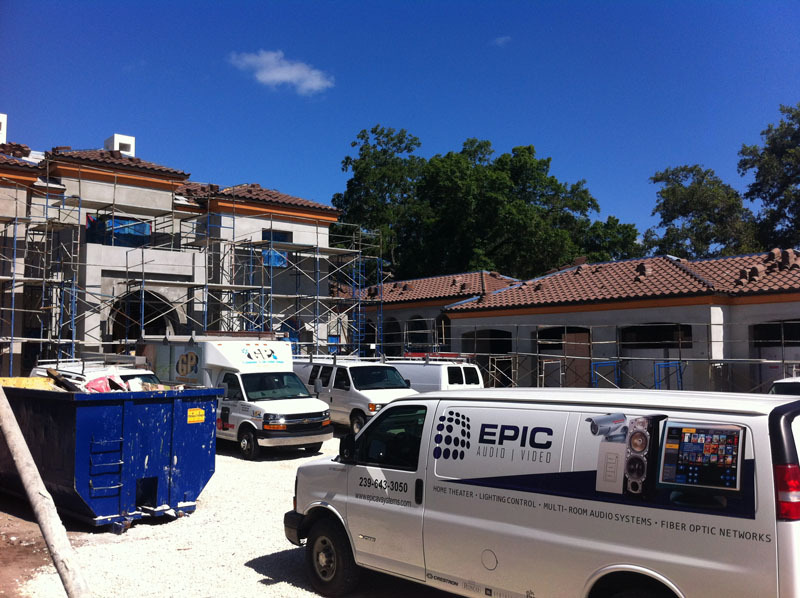 There two other buildings on the property with Crestron systems of their own. 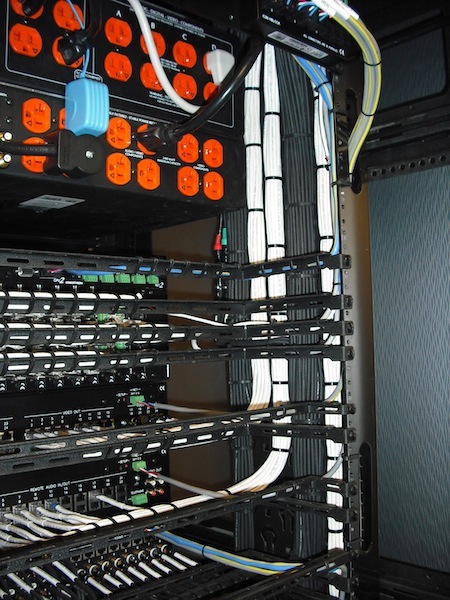 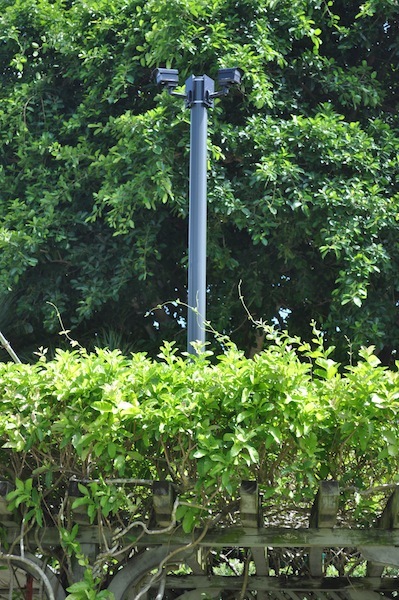 All three are connected via FIBER including the cameras and Ethernet. 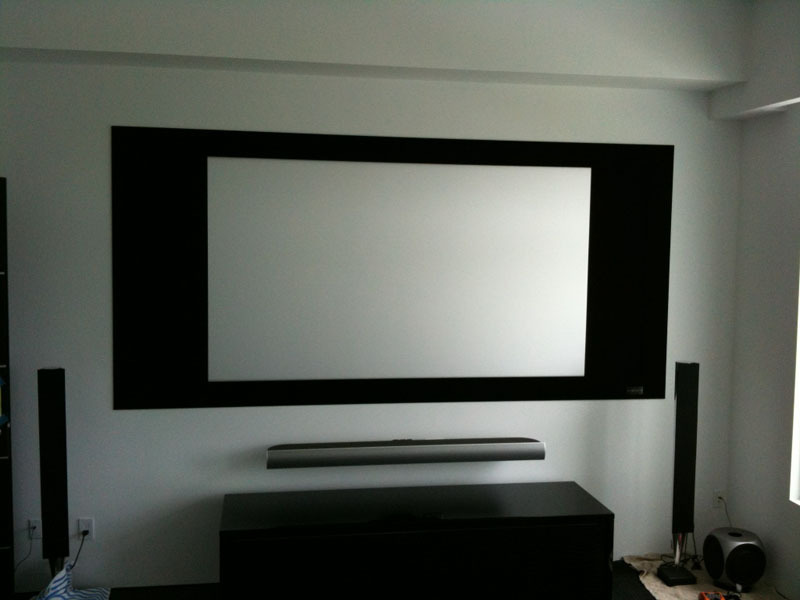 Check out the Runco 103" plasma with the JBL Synthesis 2 System. 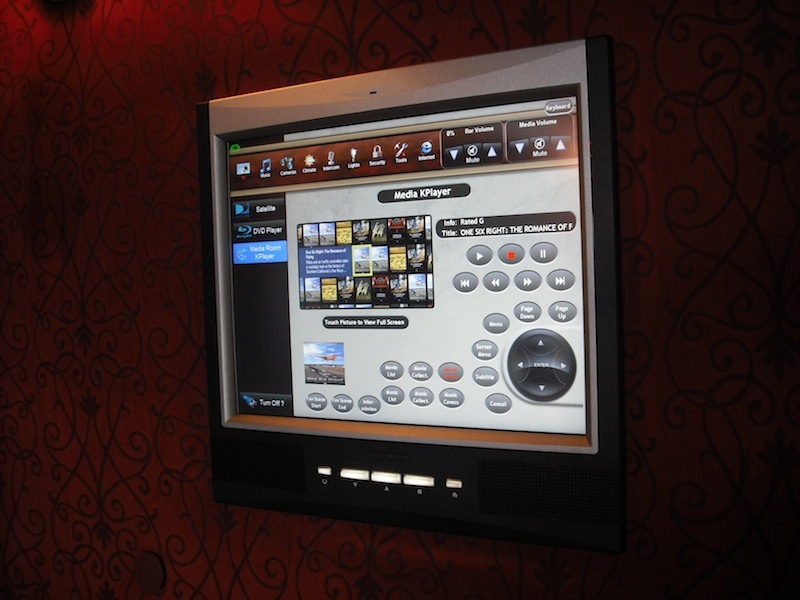 This home Theater doubles as a night club with an array of hidden subwoofer and high output speakers that transform this room with a push of a button the 15" Crestron In-Wall Touchscreens. 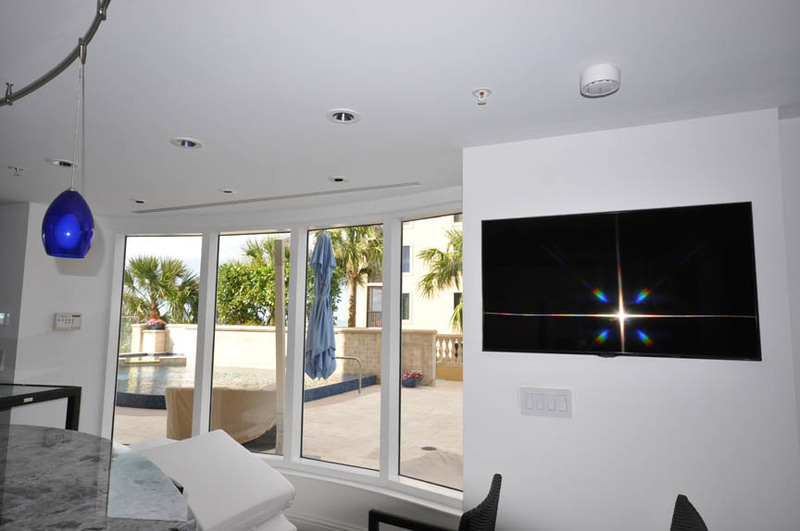 Two Dozen of the best Rock speakers money can buy and waterproof TV take the party out to the pool. 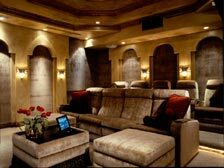 Kaleidescape Movie servers and 4 home theaters put this Major League Ball Players house in the spotlight. 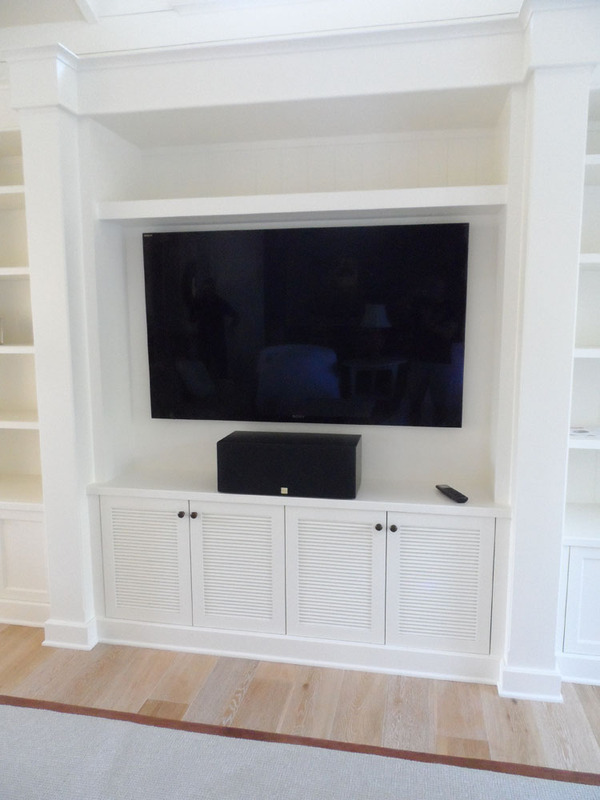 The client converted an old unused Bonus Room into a dedicated Home Theater. 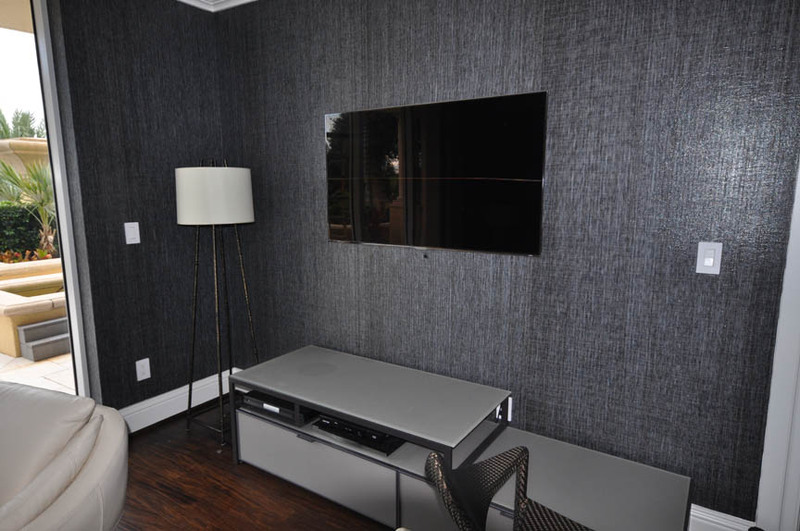 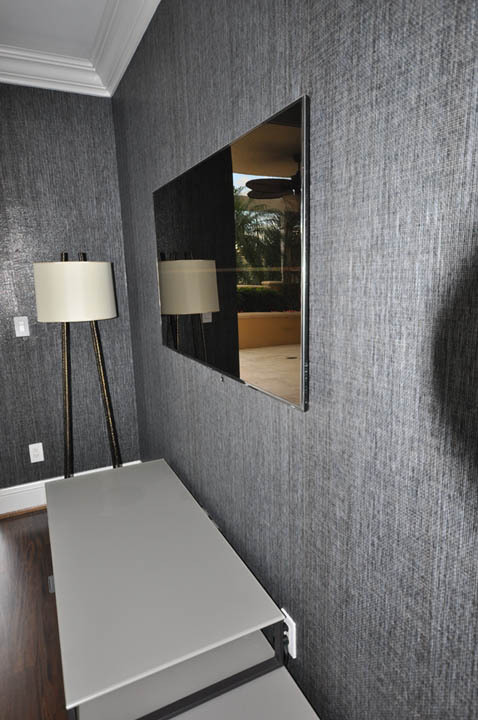 We soundproofed all the walls and custom built all the wall panels and draperies. 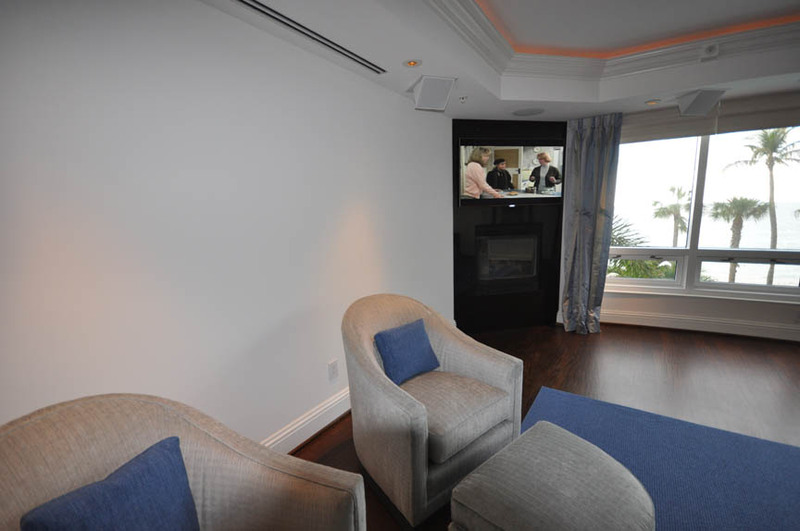 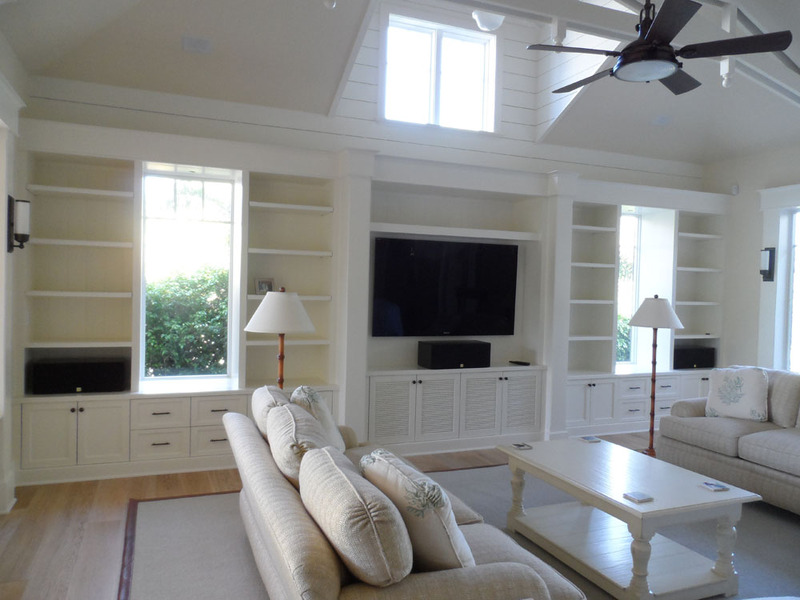 Crestron controls, a Stewart Screen and a High Powered DLP Projector make this a great room to hang out in. 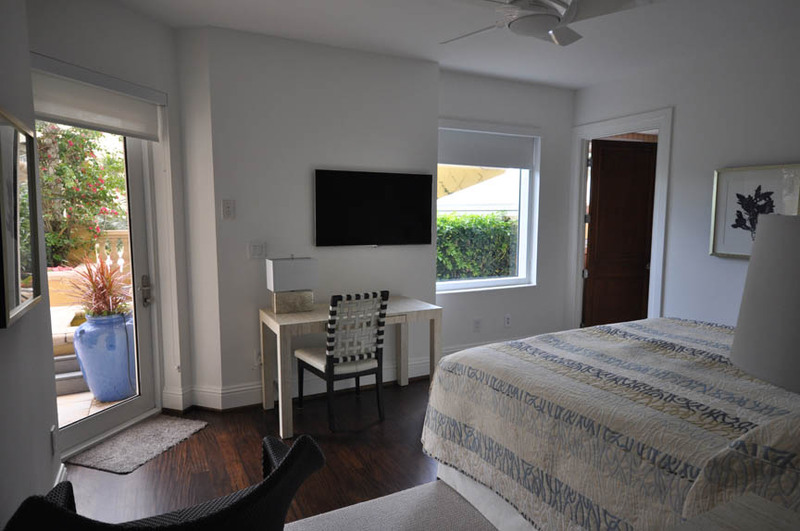 It's amazing what you can do with an unused Guest Room. 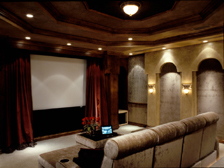 This First Impression Theme Theatre looks fantastic and is this couples favorite room in the house. 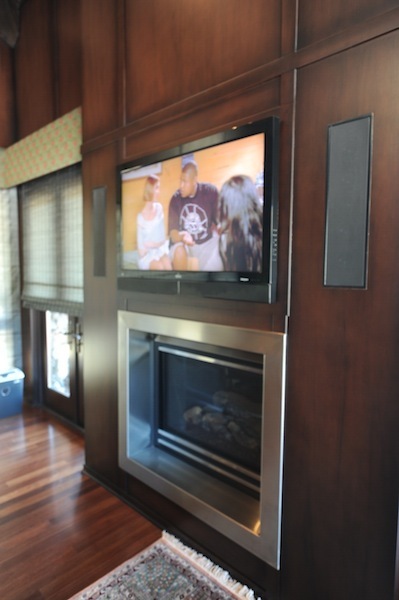 Not only is it very comfortable but its sound proof from the rest of the house. 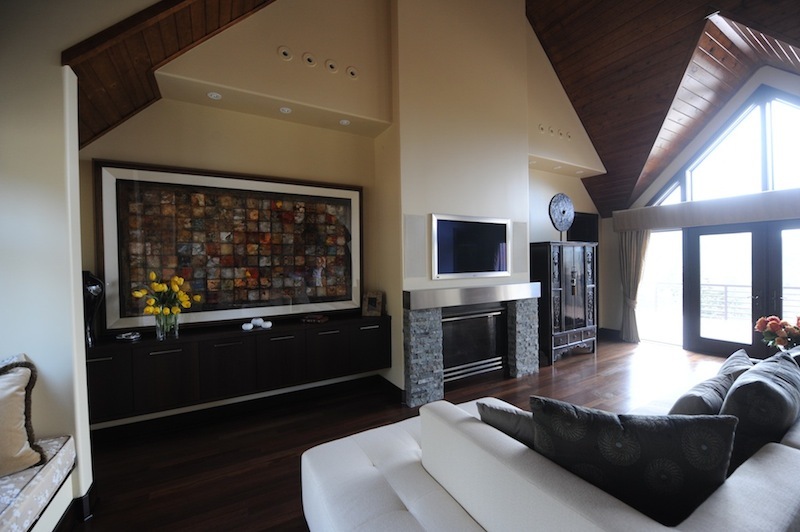 This room has been featured in many magazines and has inspired many similar rooms for clients. 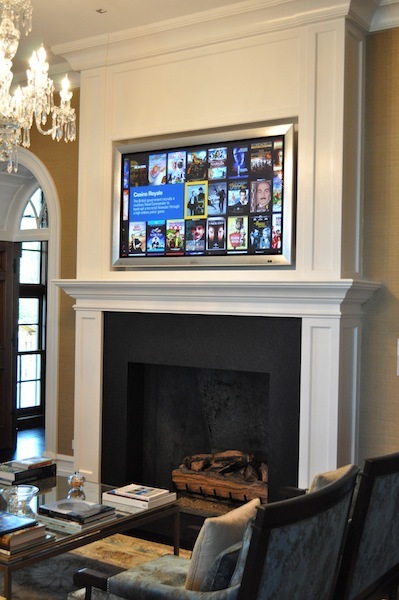 We were just awarded this very nice project which consists of a Dedicated Home Theater featuring the latest Projector from Digital Projection and a 138" Anamorphic Screen. 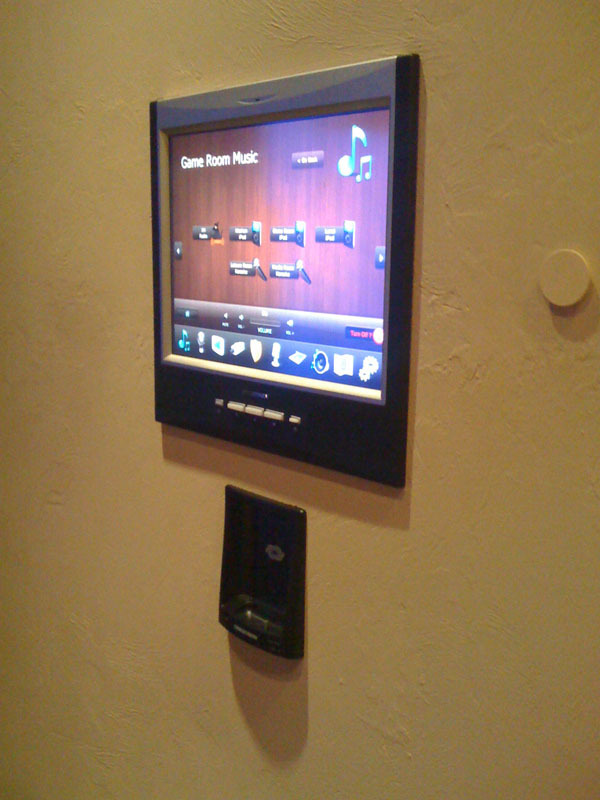 Crestron Controls throughout and iPad/iPhone control make this a very nice system. 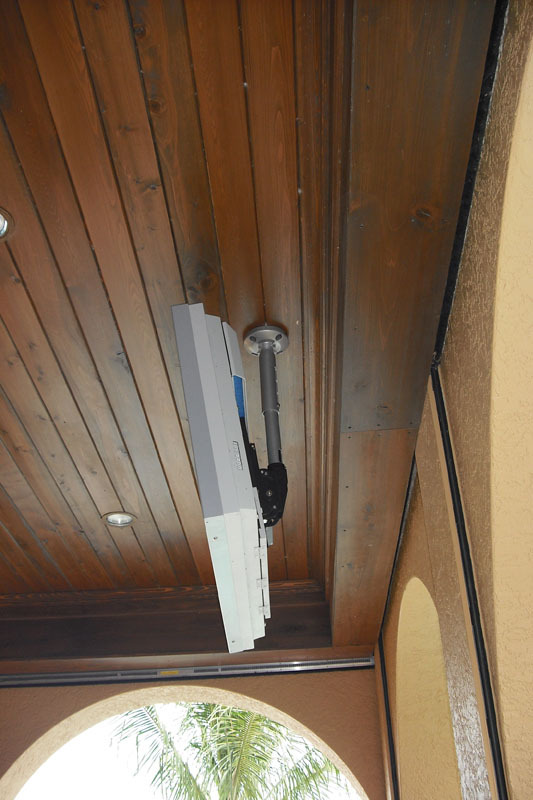 QUESTIONS, Or need a service Call?